Will Ice Dams Hurt My Roof- Learn About The Dangers Now! Let’s just assume you are here because you are wondering, “will ice dams hurt my roof?” This subject does not require a vast page of information but simply an answer. The answer to will ice dams hurt my roof is simply YES! 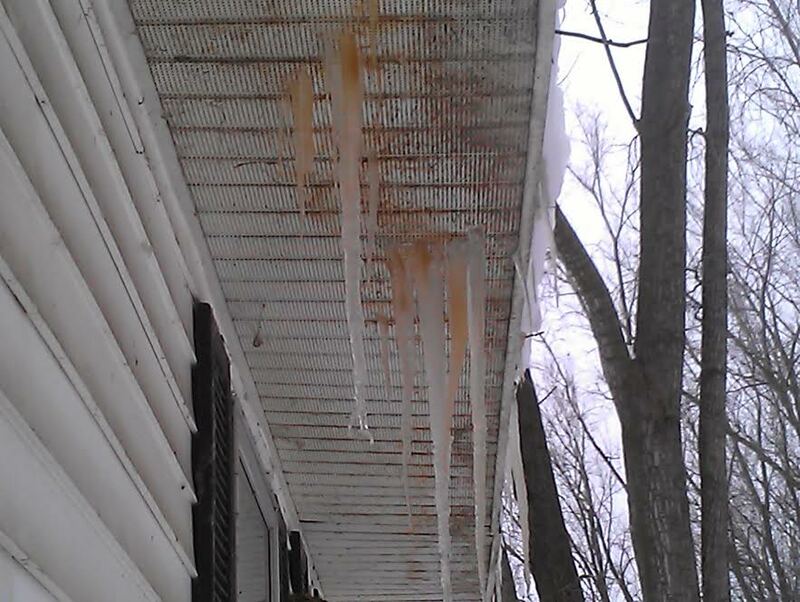 The pictures here show the potential damage that can be done from ice dams. Ice is an expanding element and because of this expansion it can literally split the roofing materials in half. We have seen hundreds of cases where the roof has split like this! These pictures were given courtesy of Absolutely Clean Window Washing. Other damages that commonly occur from ice dams are water twisting and warping and rotting the roof deck boards. The fascia boards and/or metal gets twisted. The trusses bow, warp and rot. The soffits, either made of wood or metal get wet, twisted, loosened or simply fall off. Ice dams are incredibly destructive to properties! When you see brown icicles forming as pictured, you can be assured that damage to your building is occurring! The brown color comes from the wood! So somewhere the water has leached the color from wood and these are severe warning signs! Immediate ice dam removal is recommended! Leaks from ice dams will also create toxic black mold that will lead to health issues. Will ice dams hurt my roof you ask? YES! If you need safe low pressure ice dam steaming please locate our members by looking for our logo on their website. If you are having trouble locating our members in your area, please contact us and we will find a member near you quickly. All of our members own the correct low pressure steam equipment that will not damage your roof like a hot pressure washer will. 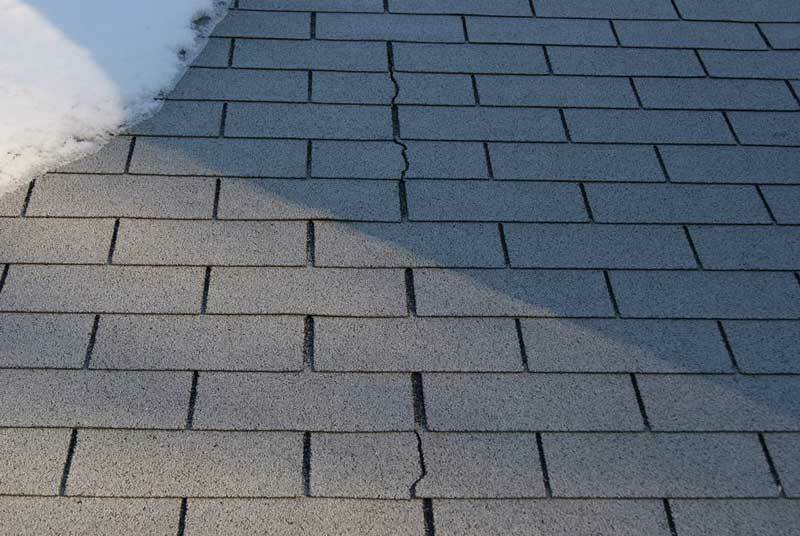 Learn how to tell the difference and avoid roof damage. Please hire our members before non members to avoid expensive roof and property damage associated with pressure washers on roofs. Pressure washers also put excess amounts of water around your building which is a terrible thing to do in the winter!! Excess water can lead to frost heaves in walkways, driveways and even in your block foundation walls!! I hope you get the point. Low pressure ice dam steaming is the only recommend form of ice dam removal.